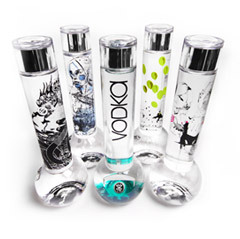 Bong Spirit’s Super Premium Vodka is an award winning libation that fuses together today’s progressive fashion and designer attitude with an age-old Dutch product of exceptional quality. Its artisanal formula has been handed down through five generations of master distillers and produced through a 175-year-old distillation process, rich with old world standards and superior craftsmanship. 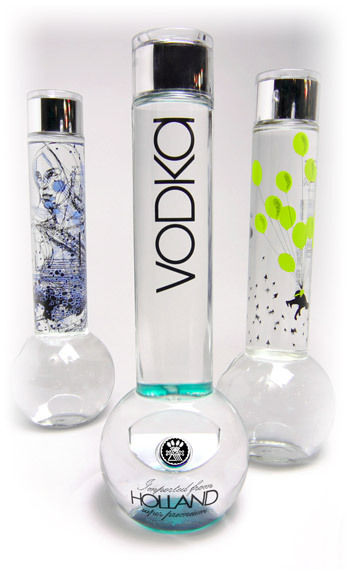 100% ultra premium grain vodka 40% alc. Each bottle with a unique no. The art is in the bottle!